Defiant Development’s Hand of Fate 2, an action RPG rogue-like about building a deck of actual combat encounters, will be heading to the Nintendo Switch on July 17th. It will include all of the DLC and add-ons released for the game thus far with the studio promising “more coming later”. Check out the trailer below. 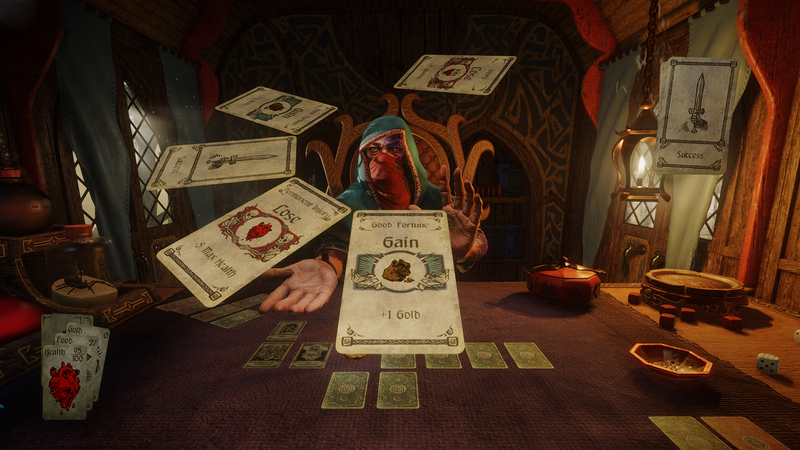 Hand of Fate 2 is about building a deck of cards, each card representing a different encounter, equipment, loot and other little challenges. These will be given to the Dealer, who will then throw in his own challenges. Players will then navigate through the cards by actually entering third person hack and slash combat, playing mini-games to gain an advantage (or incur) penalties while making different story decisions. Those who played the original but haven’t hopped into the sequel will see a number of improvements, like new companions, an overworld map, new mini-games, unique side-quests, improved content and much more. If you can’t wait for the Switch release, then Hand of Fate 2 is currently available for Xbox One, PS4 and PC at $29.99.